Gibraltar’s Turning Point Deluxe Cymbal Tilter is great for adding small cymbals or splashes to an existing cymbal stand boom rod section. It fits onto any 12.7mm boom rod and mounts vertically or extend horizontally to the boom rod. Once mounted the cymbal can be adjusted 360-degrees with a drum key. The brake style tilter has gearless adjustment for positioning. Once positioned used the drum key lock to lock in the position. 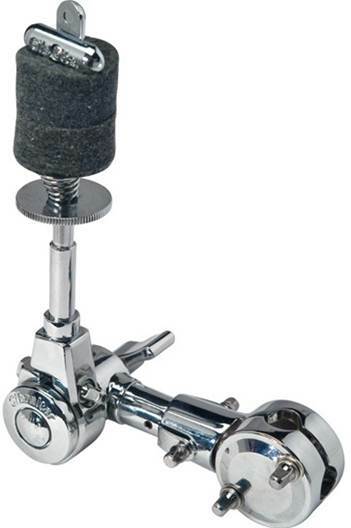 And mount your cymbals quick and easy with the new Swing Nut auto cymbal tilter. No wing nuts to turn just press down on the spring, swing the nut, and mount your cymbal, simple and easy.